Avani Raheja’s three-month-old son Neev has just woken up. And all the action in her mother’s living room suddenly swooshes towards the third gen rep in the house. Her older sister Neha takes over the baby and coos away. Younger sister Veda, awaiting her turn, is delighted: “I was hoping he would get up before I left.” The air is high on love and estrogen, the room is filled with comfortable chatter and laughter. And Geetu Hinduja, rockstar grandma and our host for the afternoon, presides over the scene with a blend of contentment and poise which lights up her face and the conversation. 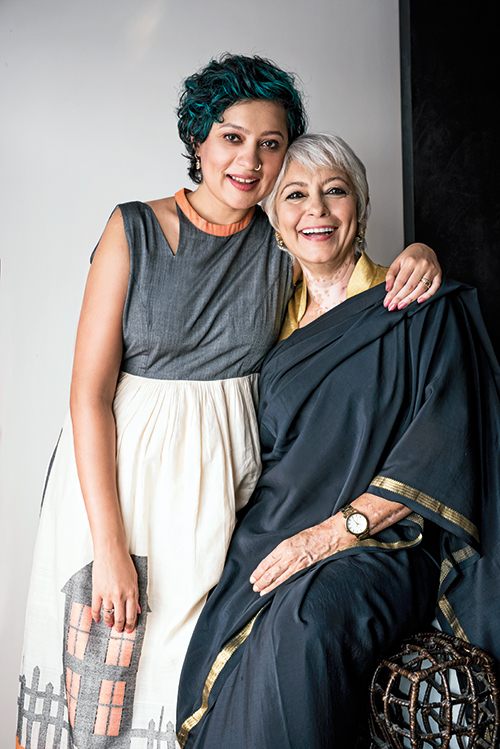 At 57, Geetu is entitled to a sense of fulfilment. This family scene has not come easy; it has taken some work on all their parts. And their story is testament to how important it is for a mother to first find her own happiness and journey. Geetu was a young mother: she had all her three children in her twenties. When she was divorced in her forties, she had to carve out an entirely new life for herself and her daughters. Those were difficult years: “From living a life where I was surrounded by family and staff, I went to a very pared-down life. I had to re-learn how to live. But I’m very grateful I got a second chance at life. I wouldn’t have it any other way,” she says, the rich timbre of her voice adding depth to her statement. In her new life, she channelled her love of art and music into deeply fulfilling career streams. She started off as an art consultant, setting up The Fine Art Company, and working on various consultancy projects. After she decided to get full-time into music, she has released three music videos and has been singing, writing songs and performing for over two decades now. It was a journey of self-discovery that brought her and her daughters together in a bond that is clearly strong but not overtly saccharine; there’s that easy camaraderie and a celebration of differences that marks a happy family. “A friend is something you should never try to be,” chips in Geetu, more as a thought than advice. “Mom and I are both outgoing, love socialising and exercising. 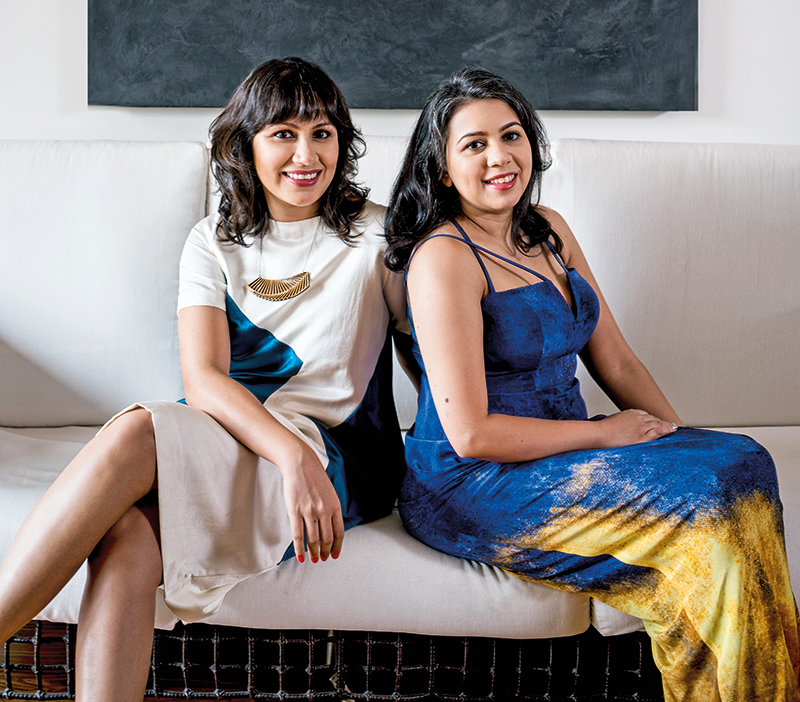 And we’re more outspoken than these two who are more reserved and diplomatic,” says Avani. “Diplomatic? I don’t know,” laughs Geetu. “Definitely not diplomatic!” insists Neha. “But as a general trait, you’re the calmest one,” persists Avani. “Yes, I don’t like confrontation, so I play it down,” admits Neha, her soft-spoken tones stressing the point. 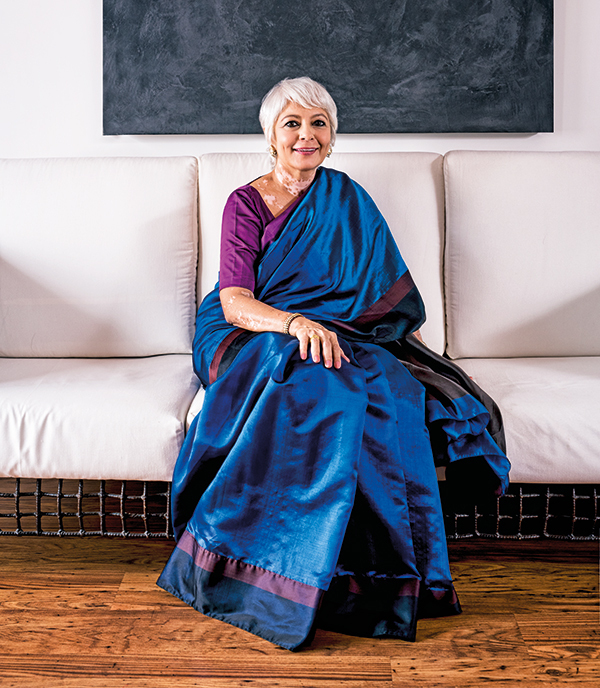 During her long years of self-discovery, Geetu was surrounded by women in her maternal and married homes — an experience that she remembers with some gratitude despite all those caveats. “When I was going through rough patches, it was my girlfriends or sisters or mother who stood by me like no one else,” she says. Last year on the eve of International Women’s Day, she released Sisterhood, a music video that celebrates female bonding, and was, fittingly, a collaboration between nine musicians. 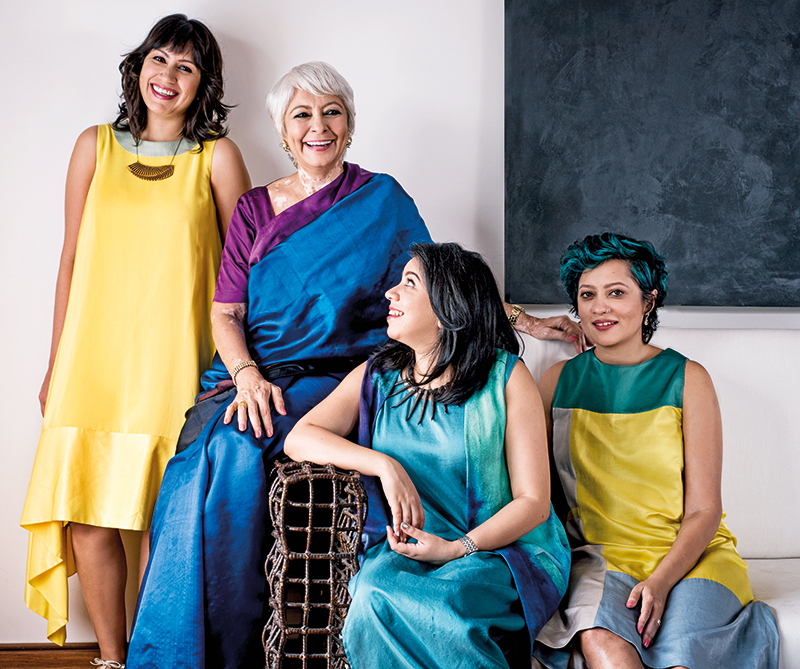 Geetu’s independent spirit is reflected in varying shades in her daughters. “Something I’m constantly trying to work towards is to be strong in my thoughts and practical needs, to not be physically and emotionally dependent on anyone else,” says Veda. A designer with her own eponymous label, she has interned with fashion magazines and worked with Shivan and Narresh and Payal Khandwala before she made her debut at Lakme Fashion Week in 2014. Her career is obviously her prime focus now. “They can’t function without a man in their life,” interjects Neha. “None of us ever thought like that. Each of us is independent in her own right,” affirms Avani. Her company Burgundy Hospitality, co-founded in 2012 with husband Samir Gadhok, specialises in experiential confectionery. So far, they have brought in Royce Chocolate, a Japanese brand with a cult following and Papabubble, a handmade artisanal candy company from Barcelona. “You only realise that challenge once you become a parent,” says Neha, who lives with her husband Rajeev Thakker and their children in Mumbai. “We were brought up to believe that we were the same as any man, and can do whatever we want to. But once you have a child, biology kicks in, and at the end of the day it’s not the same. And that, I think, is the biggest conflict.” She hasn’t let the demands of motherhood hold her back, though. She’s currently working on a web series, has done a Hindi film (Goal) while she was pregnant, has written and directed TVCs and short films, made a public service ad for the girl child and a music video for her mother among other Indian and international projects. She adds, after a pause: “If you weren’t interviewing me right now, I would have been interviewing you and getting your whole story.” She looks serious. Time to get out while I still can, I figure.